Some of life's wonderful generosity smiled today on a 61 year old businessman, Eddie Molloy, from Longford who spoke in an interview with comedian Brendan O'Carroll who was guest-hosting the Marian Finucane Show on RTE Radio1 this morning. The show was interviewing people who had lost their businesses because of the Irish financial crisis. 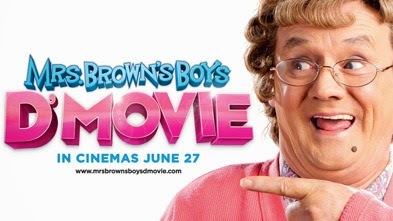 The Irish comedian is the writer of the hit TV series Mrs. Brown's Boys and also the new film version, Mrs Brown's Boys - D'Movie, which opened this week to rave reviews. The Longford couple had ran the local SuperValu and employed almost 50 people up until 2008. They sold that business and had invested in property - just before the Irish financial crash occurred later that year. Their timing could not have been worse and the Molloys lost everything they had worked for over the years. "We are literally broke now" said Mr Molloy. Over the next few years the 61-year-old businessman opened a total of three new shops in Longford town, including two newsagents, but they also closed as the recession bit into Ireland. Eddie mentioned to Brendan O'Carroll that he had been working on a new Irish Food business venture that is unavailable in Ireland, but that he was receiving absolutely no assistance or credit from any of the Irish banks or financial institutions. He has been working and researching his new food product and that he has received very favourable interest in it from restaurants and hotels that he had approached with the idea. Mr O'Carroll was so moved by the couple's story that in gratitude to the lucky break that he has received himself over the last year that he decided, live on the radio, to put his hand in his own pocket and offered the Longford man €30,000 of his own money as an investment in his new food business idea! "I'll tell you what Eddie," said O'Carroll, "I'm very, very lucky. I had a movie open this week and it's gonna make me fortune! I'll put €30,000 quid in front of you and we'll see if that idea works." As the businessman stammered with disbelief, Brendan O'Carroll added, "If we can make that idea work, you being 61 and me being 50-ish, we'll show exactly what two old men can do." The show was later inundated with calls from listeners who were stunned with the generosity of Mr O'Carroll, who had shown himself to be a very capable and understanding interviewer even before this amazing act of kindness occurred. Since the radio interview was broadcast on Saturday last, it emerged in some of the Irish press that Mr Molloy was living in what was described as a "palatial home" which includes a wine cellar and that he was being pursued by the Irish Revenue for business taxes owed. For most of those interviewed by O'Carroll on the radio show that morning, this was the same story over and over again and there are now many business people living in Ireland under the shadow of losing their homes because of what happened as a result of the Irish banking crisis. Brendan O'Carroll acknowledged Mr Molloys tax problems on the radio the following day, apologising for the fact that his public offer of €30,000 investment had actually caused the family more heartache. The comedian said that this was not his intention and that despite the tax demand the Molloys might actually benefit from the publicity. He also spoke of the need for determination of people like Mr Molloy in helping to regenerate Ireland's economy by adding, "That’s really what’s going to get us out of this, the hope of people, people having a go." Ordinary plain white bread that is dipped in egg and milk and fried on the pan is called Gypsy Toast, French Toast, Eggy Bread, Pan Dulcis, Torrija, Fatias Douradas, Lost Bread and Pain Perdu. The name used today apparently comes from a New York innkeeper named Joseph French, who created a dish in 1724 and advertised it as "French's Toast". The printer made a mistake on his Menu and it became French Toast! 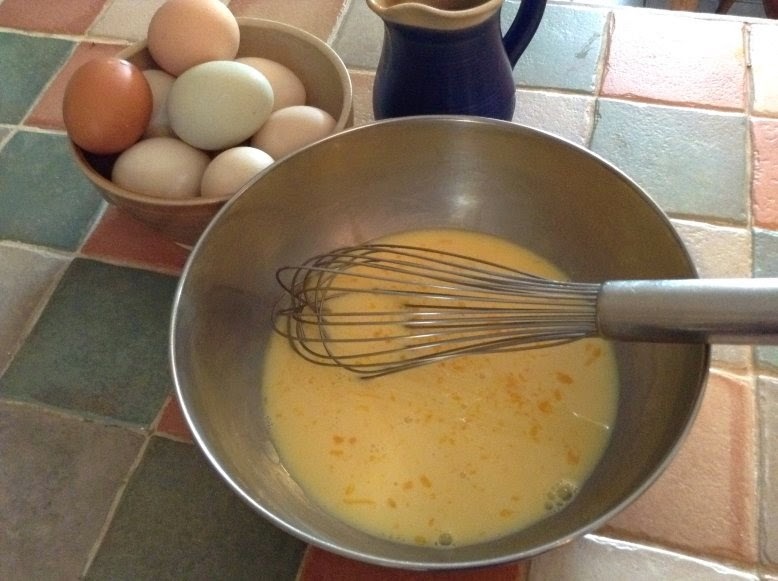 It's really simple to make and is a great way to get kids eating eggs. You can eat it with savoury or sweet additions or just with a knob of butter! 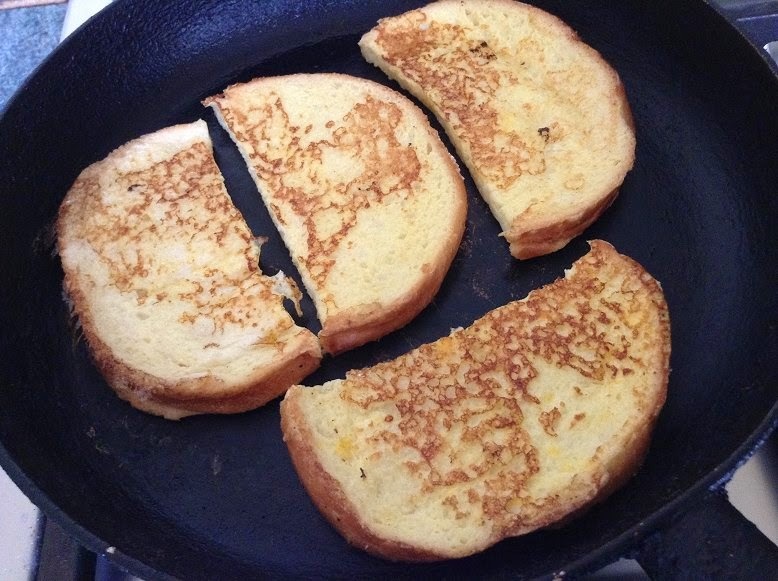 Traditionally French Toast is made from older or stale bread because it soaks up the egg mix better than when fresh, but you can use fresh bread anyway. When I was over in Norway last year one of the gourmet restaurants we were eating in served it up as a dessert with cinnamon-sugar and ice cream. Simple. 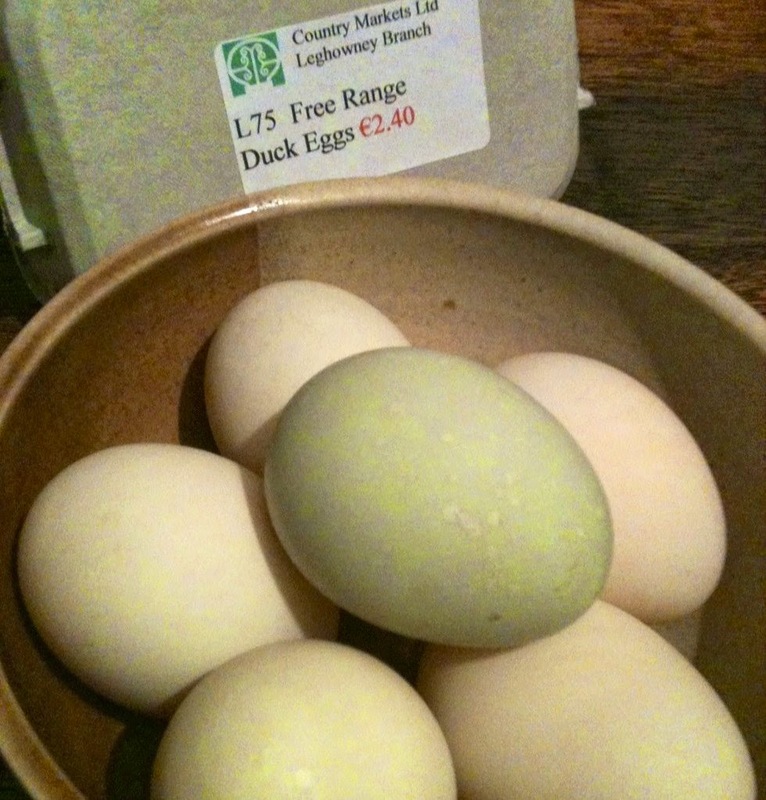 I picked up a half dozen lovely big free-range Duck Eggs at our local Leghowney Country Market yesterday, so I decided to make a big batch of French Toast with them. Funny thing is, the man who was selling the eggs had never heard of dipping bread into beaten egg and frying it! I was telling him how to make it and was astounded that he'd never come across it before. He was going home to make some straight after the market! So, here is my recipe for French Toast. 1. 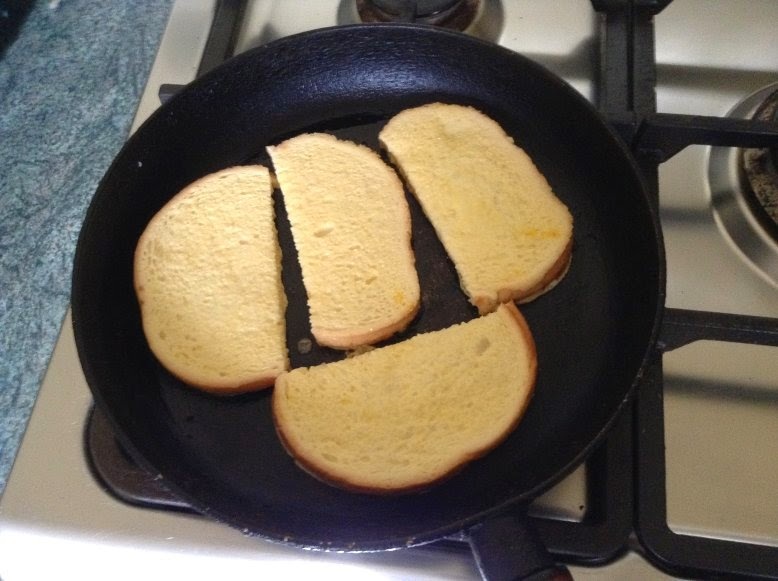 Cut the bread into half slices. Beat the eggs and milk together in a bowl. 2. Heat the pan on a low heat with a tiny rub of oil covering the base of the pan. Dip the bread into the egg mix, turning it over to cover both sides and shaking off any excess. Place on the frying pan leaving a space between each slice. 3. Cook until golden brown (approx. 1 min) on each side. Remove from the pan and cover with a cloth to keep warm. Repeat until all the egg mix is used up. 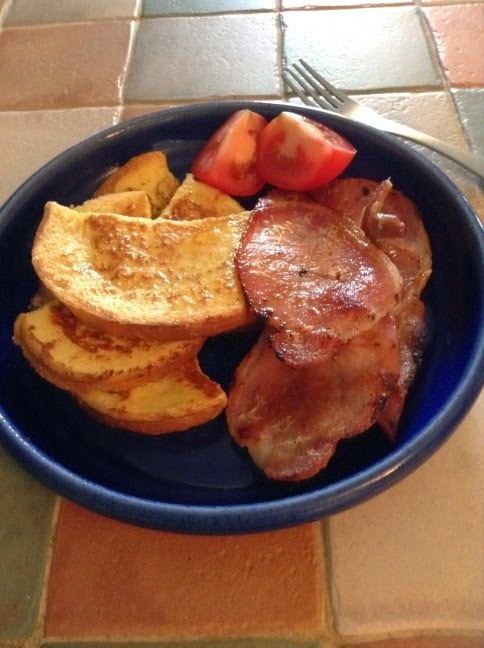 You can eat French Toast with anything! Spread it with Butter, sprinkle it with a little Sugar & Lemon, serve it with Bacon, Maple Syrup, Honey, Cinnamon Sugar, Ice-Cream, Strawberry Jam and Fresh Cream or just plain! Yum! I came across this video on Facebook of an Irish guy playing the Spoons. The spoons are often played by percussionists and bodhran (traditional Irish drum) players along with Irish music in sessions. The tune, however, that he's playing along to is "Insomnia", a dance track from British electronica band Faithless. It was recorded on phone by a musician from Manchester called Ellis Holden. Have a watch!